Home » Free Bets » Are Wagering Requirements a Scam? Are Wagering Requirements a Scam? The answer to this question is really subjective but from a legal perspective the answer is no. Each gambling sites play-through requirements are listed in their terms & conditions – this is a legal requirement – so you it’s your job to look at them and proceed accordingly. The issue is that the general punter, the one who isn’t experienced in online gaming, will probably not even be aware that wagering requirements exist. They will see the carrot of a £50 welcome bonus and think ‘sweet: free money!’ when all is not entirely clear. What Are Fair Wagering Requirements? 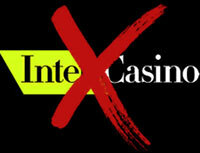 Let’s take a look at InterCasino as an example. Their particular welcome bonus (at the time of writing) is a 100% match up to £250. So they will essentially double your first deposit. Nice. We’ll deposit the full amount to get us started (£250), and InterCasino match this up to make a grand total of £500. Lovely stuff. We have a look in the T’s & C’s (ordinarily we’d do this before signing up! ), and find that their wagering requirement is x30. We take out our calculators and do the necessary sum: £500 x 30 = £15,000. Who in their right mind would play through £15,000 in bets just to get a £500 bonus!? That’s a profit yield of about 3%, and for such a large wagering requirement is disgraceful. The bonus is essentially impossible to clear profitably for the player. Again this is subjective but when you look across the board at bonuses available, especially in sports betting, then anything with a wagering requirement of more than 3 x your deposit amount plus bonus amount would be considered unfair. We must then meet a 3x requirement of our bonus amount + deposit amount so £200 + £200 = £400 x 3 = £1200 (before we can withdraw the bonus). As you can see that’s a lot less than £15,000. Check out our free bets page to find some sports bonuses we consider to have fair (and even smaller than 3x) wagering requirements. So is this fair or legit? In games of random chance in online casinos it really is a huge gamble, as these calculations assume that you are going to make a profit from your £15,000 worth of betting. But you might not win a penny – and the consolation of a £500 bonus isn’t going to help you sleep at night knowing you’ve just essentially lost £14,500. I think you’ll agree that the maths behind that bonus makes it pretty damn unfair. It must be pointed out that InterCasino are not the only ones deploying such unscrupulous tactics to generate new business, and they probably aren’t the worst of the bunch either. It’s your opinion on what’s fair and isn’t fair – read the T&C’s before you go for any bonus. Why Are Some Bets Exempt From Clearing Bonuses? Hopefully you are aware of this already, but if not then this could come as a bit of a slap to the face: not all bets count when it comes to clearing your bonus. Different casino games will differ in their contributory percentages to your bonus and usually bets that are placed with bookmakers under certain odds (1.50-2.00) won’t count either. Again read the bloody T&C’s before you start with any bonus. For example, blackjack is often banned because players who utilise perfect strategy will only lose a small amount (if any at all), and so when the bonus is finally cleared the player will find themselves well in profit. Naturally, casinos don’t like this. Or if you meet you wagering requirements by placing bets at odds of 100/1 on (1.01) then there’s virtual no chance you’ll lose – in that scenario it’s actually not fair on the bookies. Basically having these limitations in place is an attempt to stop abuse of the bonuses by the gambling sites. All sites differ in their T&C’s with some more favorable to the player than others. We can throw words like scam, swizz and con around until we’re blue in the face, but it really isn’t going to make much of a difference. Sites will still advertise big welcome offers with ‘hidden’ wagering requirements, and people will still fall for the trick. The only way change ever really happens is that people boycott the worst culprits – but it’s unlikely that will happen any time soon. Remember, a gambling site is a business like any other. Many industries use small print to hide the true cost of the product or service they are offering, and we just have to deal with it. Online gambling is so competitive – new casinos and sportsbooks crop up everyday – it can be hard for them to differentiate themselves from their rivals. This is one way; and the fact that it is a money-making scheme for them is of little concern to their shareholders. So really we the punters have to remain vigilant, and before we are seduced by any glamorous looking welcome bonus or sign-up offer we must CHHECK THE TERMS AND CONDITIONS. That cannot be stressed enough. Why Do Sites Have Wagering Requirements?